After schooling previously at Hamworthy First School (which as of May 2014, is now a site of recently built flats & houses) and then Hamworthy Middle School; I moved on to Seldown Secondary School in September 1984. It was an all boys school (more's the pity). Our year was the final one to attend all four years at the school. I loved school. It was so much fun! Back in the 1960's, I believe this school used to be the Grammar School for the area. It was situated right in the middle of Poole town centre, sandwiched between the (still existing) swimming pool and Poole bus station. 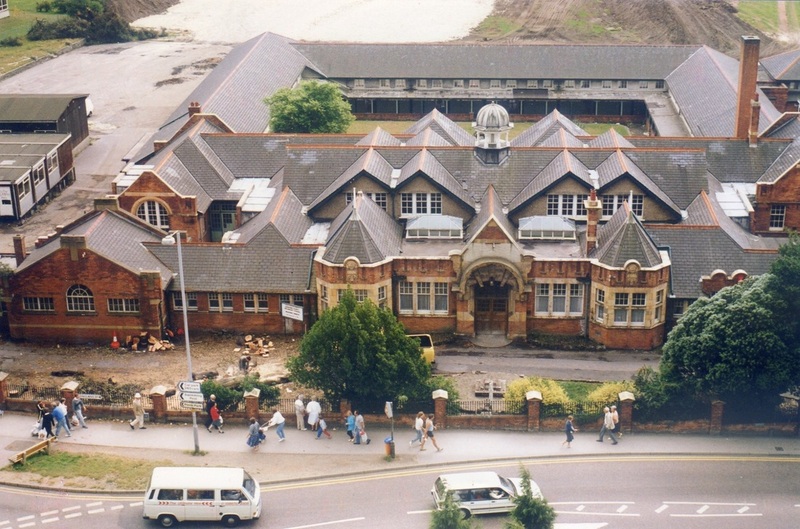 Due to the school's primary location, it was demolished in 1988, (see 'Seldown Demolition' page here) so that the council could build a bridge over the railway and connect up the roads from the Poole Quay side to the town centre. Below are some photographs I managed to get. Click on any image to view it full sized. The image above shows the school as viewed from the Merck building in 1988. At this point, preparations were already underway to demolish the building. (You can see the school field in the background is already starting to be prepared). 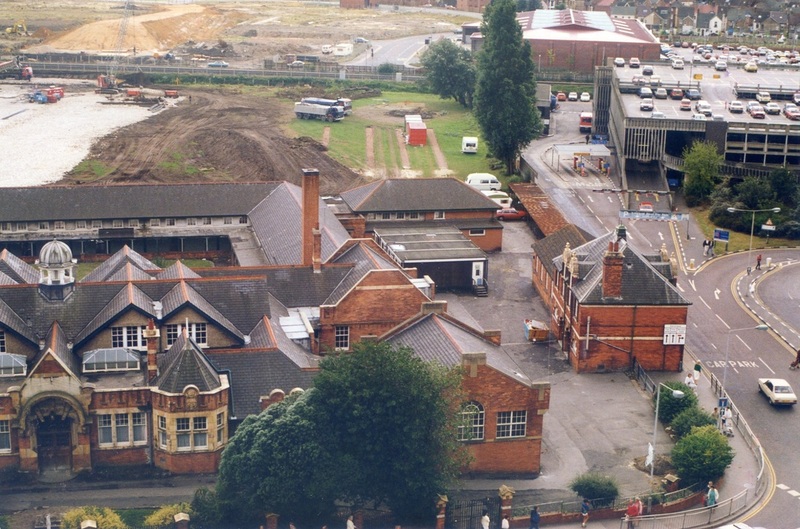 This image above shows the school, with more of a view to the West. So here you can see the art building (the building on it's own on the right) and the bus station. 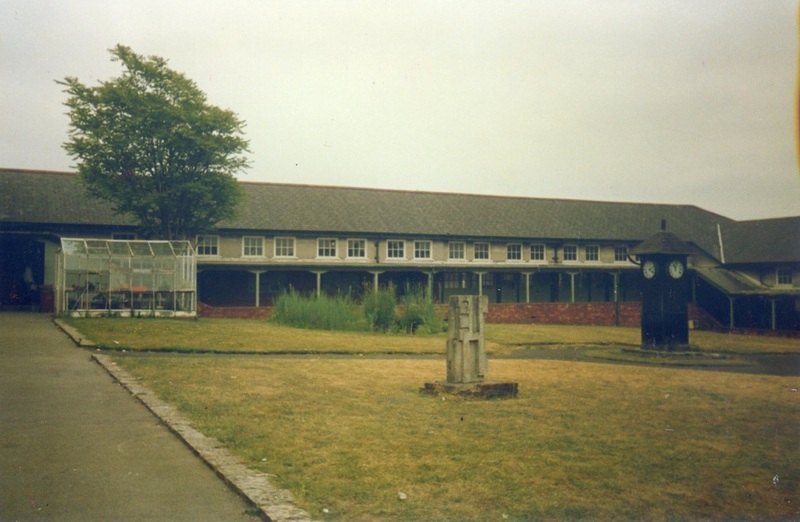 Image above shows the 'quad'. You could walk around it on any side, but you were not allowed to cross it through the middle (and no-one did). 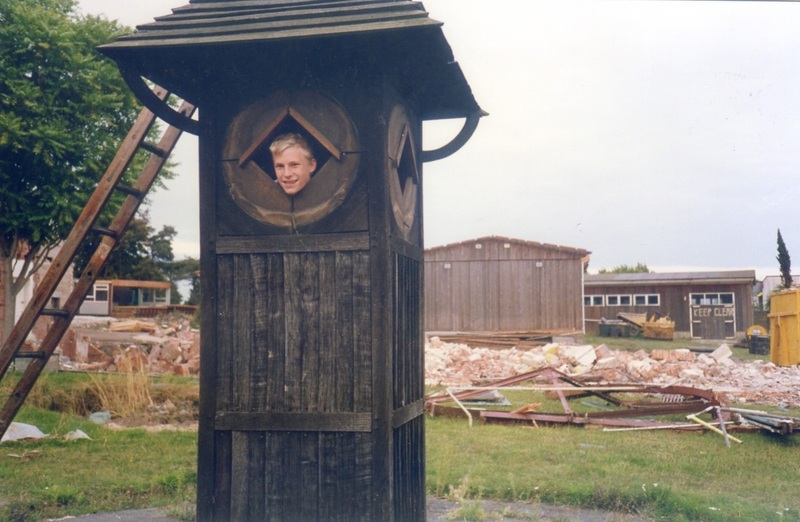 It was very confusing when you first joined the school (well it was for me) since the greenhouse seemed to mysteriously move to a different corner every time you entered the quad! 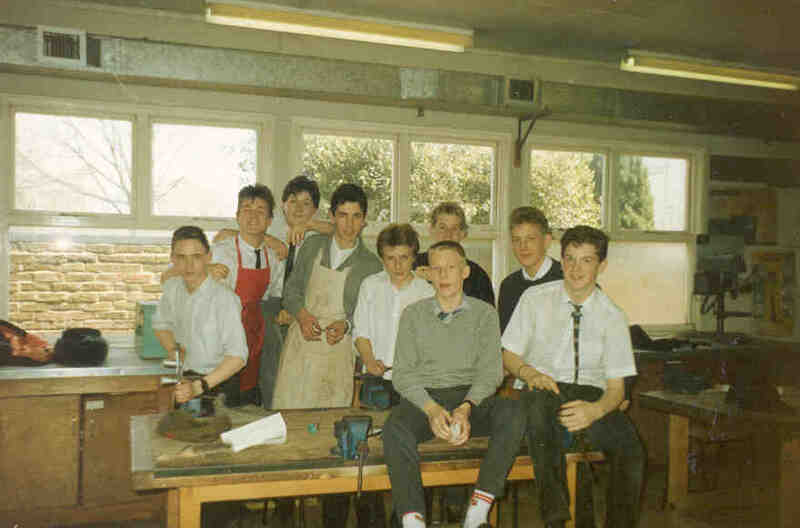 Here is a picture I got taken in Mr Pel's metalwork room. People pictured include: Chris Maclean, Sam Beretta, Scott Mackay, Steven Clapcott, and myself (sat down with jumper on). Chris is cutting off the unwanted solidified aluminium mouldings for his garden tool I think. 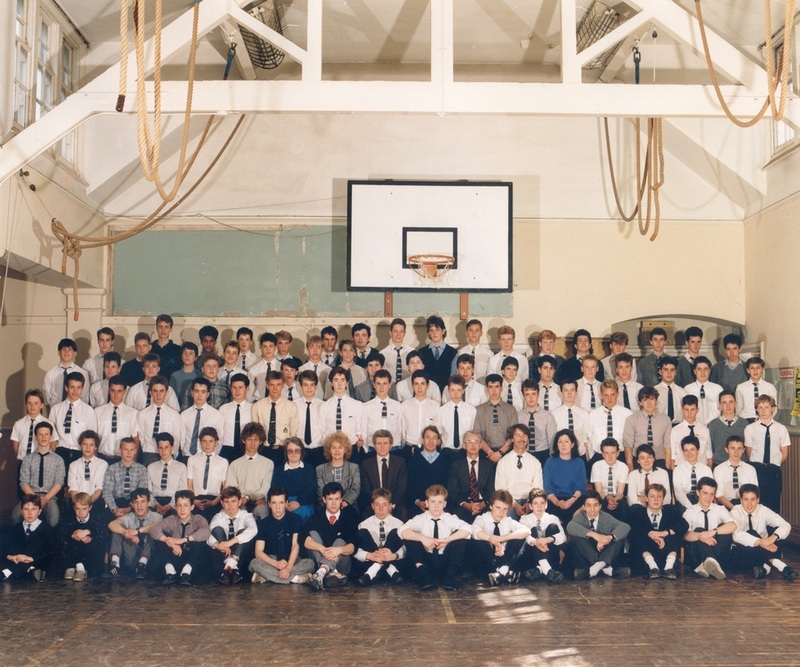 The above shot was taken in the school hall and shows the final year pupils. I am second row from front. Third from the left. Behind all these pupils (hidden from view) was the computer room. It was totally state of the art and had twelve BBC B Micro computers, one VIC 20 and one ZX Spectrum. 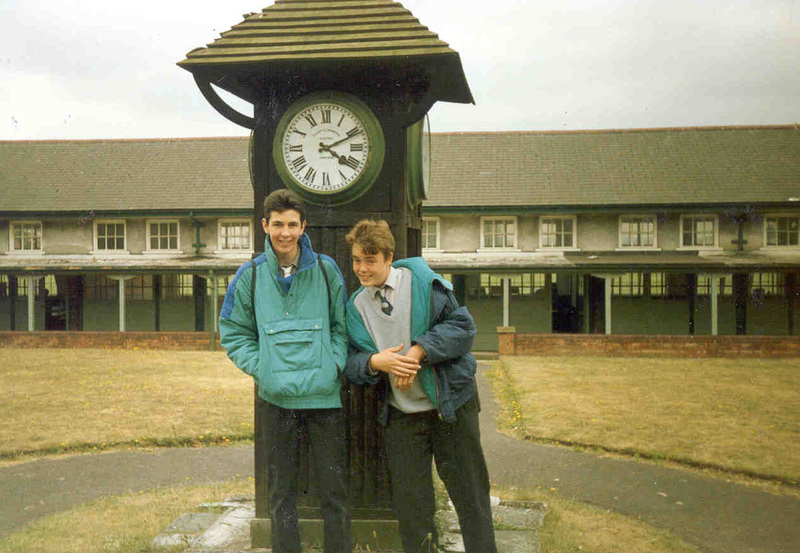 The above shot on the left shows Scott Mackay and Lee Raynham stood in the middle of the quad. I think I took this after one of our final exams. 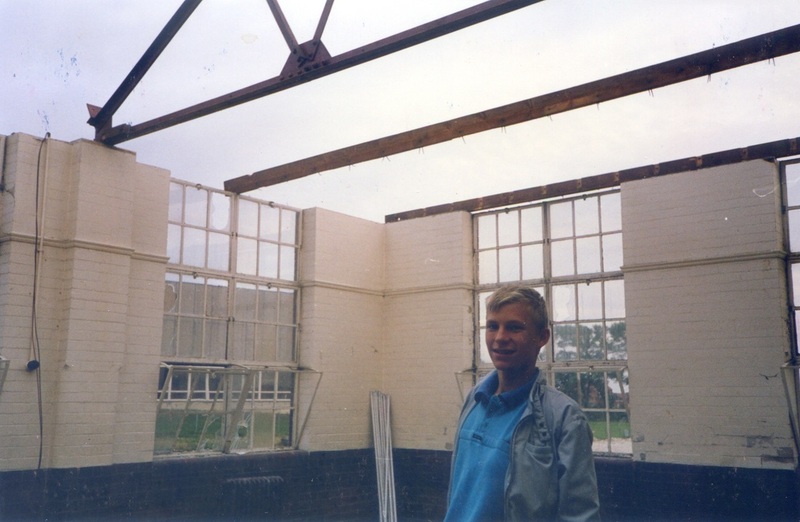 The shot on the right was taken when I went back into the school after they started demolishing it (to have a nose around and take some final photos). I managed to get inside the clock! Above image on left shows me standing inside Mr Brearley-Smith's maths room. Mr Brearley Smith used to throw the blackboard rubber at you if talked in his class. He was probably the strictest teacher in the school. The image above right is me standing outside that same classroom. School hall. It used to be tidier than this! 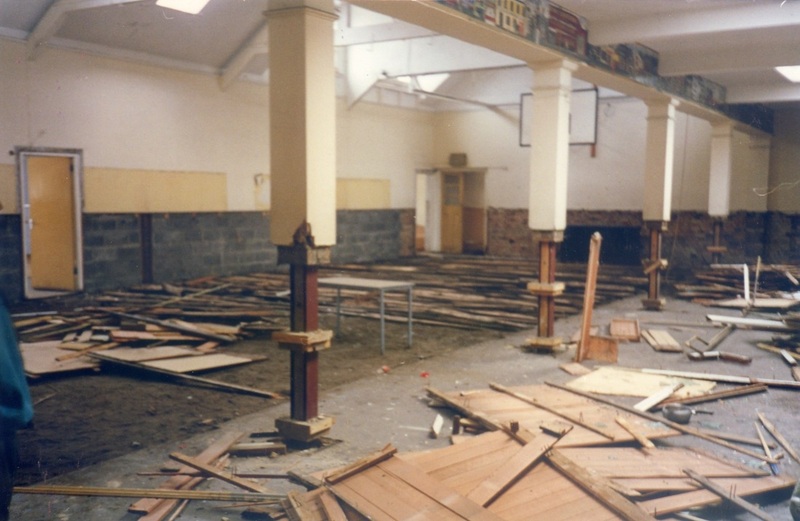 This image on the left shows the school hall starting to be ripped out. In this shot we are looking the opposite direction to which the group photo was taken above. Taken roughly near the staff room. Door visible on left was one of the French rooms and the far door leads through to Mrs Acklands room and the quad. I found my old school sign that I made for a fete in 1986 or something. It was on top of a wardrobe in one of the classrooms. We were tasked with coming up with a game or something that people could play and this was the sign for my effort. 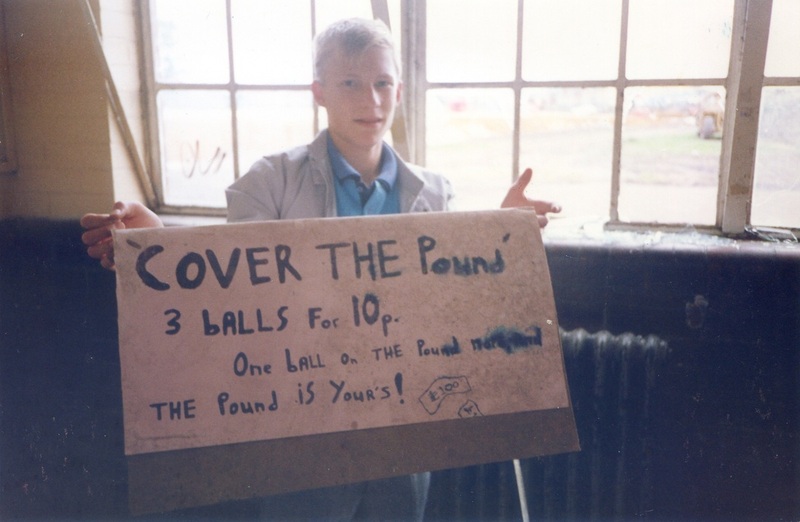 I used a real pound note stuck down with sellotape onto a long strip of carpet. A very popular game and due to the preposterous pricing structure in place, probably made about 50p all day long! 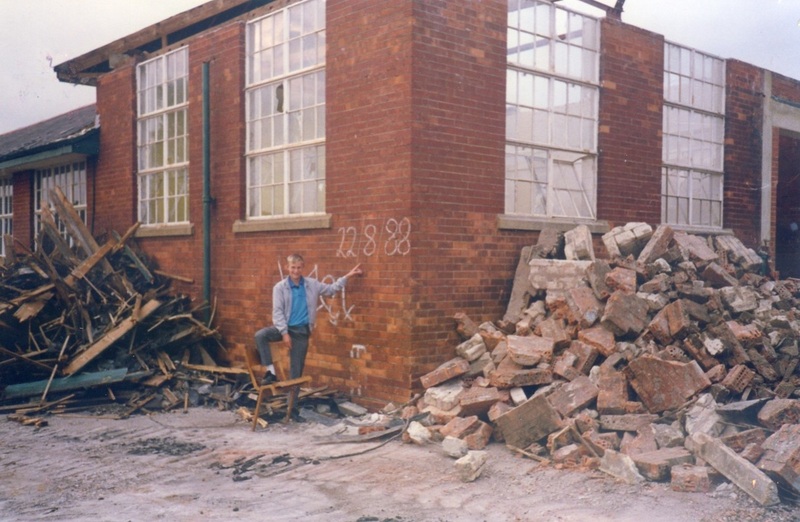 Seldown Secondary School was demolished in 1988 to make way for a flyover. Take a look at my dedicated demolition page here. A few old cartoons, created by some of the teachers back in the day have come to light. I have uploaded them and you can view them by clicking on the links below.